Video production is a tough business, from beginning to end, so when online video filmmakers complete a show, it is truly amazing. This is why I find it hard to be overly critical of a movie or web series, because all video productions are miracles in that they actually got made. Often, filmmakers fail simply because they ran out of money. Successful independent producers become masters in cutting costs. 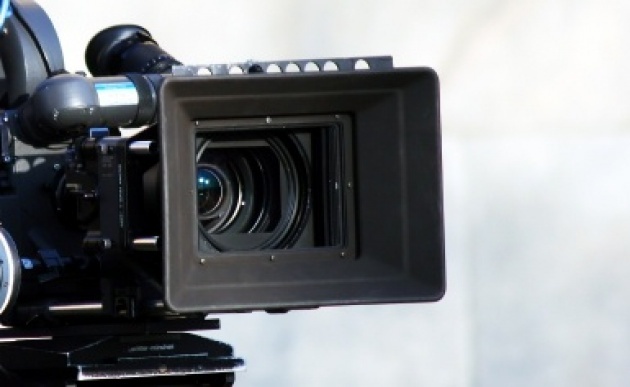 Here are five practical ideas to lower production budgets. Have your crew perform multiple roles. For instance, it’s not unusual for the producer and the director to be the same person. What about the script supervisor acting as the casting director? Or your gaffers help build sets? The combinations can be endless. Just be sure you don’t saddle anyone with too much or you will set them and your production up for failure. Extra positions will also require additional, separate credits. Find free locations. Take a close look at your script and figure out where you can get locations without using cash. At times it may be sensible to rewrite a scene to accommodate a freely available location. Online video filmmakers need to contact the owner of the location, not a leaser, to sign for permission to use that location. So, if you know a restaurant owner or have a friend who owns their home, these are places to start looking for complimentary locations. Some business owners will be open to a trade for a show credit. On all locations, paid or free, don’t leave the place a mess or tear up the property. Clean up after your production and send a thank you note or gift. With a little advance research, online video filmmakers can obtain original musical scores for free. I recommend looking for free music as soon as the script is finished or acquired. There are many musicians who would love to have their work credited on movie. As in everything on a production, make sure you have the proper legal written agreements in place. Of course, if you happen to be musically talented, you can create your own film score. Feed your cast and crew inexpensively. Arrange for free and discounted craft services. Restaurant owners love to trade for publicity, so you can make a deal with a movie credit. Sometimes, the restaurant owner or manager will ask for a role in the movie. Be careful with that kind of deal. Ideally you want to keep the acting integrity of your video. Maybe you can part with a “featured extra” role. Be creative when casting name actors. Use one marginally known actor in a main character role or one big name actor in a small, cameo role for a day shoot. I know a producer who routinely has a popular actors for just a few hours for a small scene. He usually has to shoot the scene at the actor’s location choice, but he saves a huge amount of money. The added benefit is being able to advertise that actor in his movie. Smart, creative moves will place your online video production ahead of the game and keep more cash in your budget at the same time. Where most online video filmmakers fall flat financially is by failing to have post production costs. Post tends to be much more expensive than production and cash is king in the post production world. You are less likely to obtain trades or deals in post production. To ensure you have that cash on hand, keep production costs to a minimal to avoid seeing your online video production buried in the unfinished film graveyard.